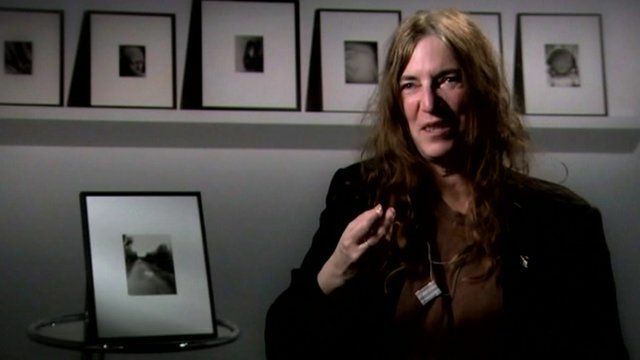 Rock and Roll Hall of Fame inductee, Patti Smith, who became a significant influence on the punk rock scene with the release of her debut album Horses in 1975, is far more than a singer-songwriter. Smith is also an avid photographer and takes a camera on tour and whenever she travels. "Camera Solo" is the first museum exhibition of her Polaroid photographs at the Wadsworth Atheneum in Hartford Connecticut. It can be seen until February 19, 2012. Watch the extended interview recorded when the BBC sat down to talk with her about the inspiration for her work at the Robert Miller Gallery in New York City which has represented her since 1978. All photos: © Patti Smith. Courtesy of the artist and the Robert Miller Gallery. Special thanks to Paul Richert-Garcia of the Robert Miller Gallery, Susan Lubowsky Talbott, Kimberly Reynolds and Allen Phillips of the Wadsworth Atheneum.